When I was growing up, decorating the tree was like a sacred ritual. Although we never had a set day to set up the tree, when it eventually showed up in the yard, we knew it was close to time. Real trees were the route we always took, on several occasions even going out to the tree farm to pick our own. We did a little decorating outside the house but left the major light displays to the folks across the street. They were a great landmark when giving directions to our place. Inside, the windows that faced the front got some spray snow and the banisters got some garland, but the crown jewel was the tree. I watched in awe as my mom would transform a plain old tree into a piece of art. There were two key components to the tree: bubble lights and the chirping bird. 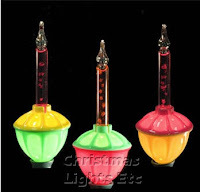 Bubble lights are straight 70s and they rock so hard it should be illegal. Can you imagine that bubbly goodness on your tree?!?! I wish that I could upload sound so you could hear what the product description calls “the joyous sound of a bird chirping”. It’s not joyous really. It’s pretty annoying after a while but that never stopped us from hiding it in the center of the tree like it was a little bird’s nest. People were always amazed by it too. We all just found that to be hysterical. My mom would decorate and I would hand her the ornaments and as I got older, I was allowed to place some ornaments or add the final touch of icicles. I believe that I was about 14 or 15 when the honor of fully decorating the tree was bestowed upon me. No pressure!! Welcome in OCD. With this great task upon me, I was so careful to place each ornament just perfectly to try to live up to the standard of trees before mine. I’m proud to say that my trees were all beautiful. My tree OCD, however, never left. Fast forward 20(!) years to current day Christmas where I’m solely in charge of the tree. For the last three years, we’ve been buying a fresh cut tree because I love the scent of pine when I walk in the front door. I’m not so sheltered, though, as not to realize the importance of our natural resources. This year we bought our first fake tree. Obviously, I didn’t immediately fall in love with this idea nor the looks of the tree when Kiddo and I first started putting it up. It came pre-lit with various colored lights. They’re bright. Really bright. While the family photo albums have already been handed down, the Christmas decorations have not yet. My tree is without bubble lights and chirping birds. Sadness. 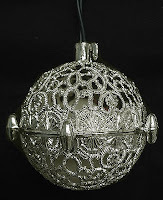 It is full of pretty red and silver ornaments with some splashes of other color here and there. What I’ve learned this year is that fake trees are heaven for those with tree OCD. It’s taken me three days now to finish decorating the tree. Partially because there’s just so much life to take care of outside of the tree, but mostly because of the OCD. Every ornament must be hanging down perfectly straight. Yes, I’m off my rocker. But the fake tree is AWESOME for this!! If an ornament isn’t hanging properly, I can bend its branch or the ones around it to make room! AHAHAHAHAHAHA! Also, I need to have the amounts of red and silver be in just the right balance. Icicles can’t be clumpy and have to be just the right amount and spray snow can’t be overdone. I need help. I am hoping that I will be able to finish the tree tonight and put away my tendencies for one more year. If I do, I’ll post a photo. I know that I’ll never be fully satisfied with the tree’s appearance, but that’ll do pig, that’ll do.